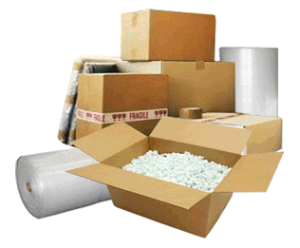 Make a list of packing materials needed such as boxes, bubble wrap, tape, marking pens, rope, drop cloths, mattress and furniture covers. Always check that your insurance (homeowner or renter) will cover your belongings while in storage. If you don’t have insurance you may need to purchase insurance. CAUTION: To store hazardous or combustible materials is very dangerous such as gasoline, cleaning fluids, paint, etc…Drain all gasoline from lawnmowers, power tools, boats, snowmobiles, etc. before storing them. Be sure to store frequently used items at the front of the unit to avoid having to search for them. Also, store valuable items towards the back of the unit. Appliances must be thoroughly clean and dry. Keep refrigerator and freezer doors slightly open. Remove and discard vacuum cleaner bags. Store mattresses and box springs on long edges. Wrap for protection and elevate off of the floor. Using pallets will keep your items off the floor of the storage unit. It is not advised to lean items against the walls of the storage unit. Pictures and mirrors should be wrapped in cardboard and marked “FRAGILE”. Stand them straight up, never flat. Disassemble beds and mark the pieces so that they are easy to put back together. When packing books pack them in small cartons that weigh no more than 30 lbs. Alternate bindings and cushion them with wadded packing paper. Keep your out-of-season clothes towards the front, seasons come and go fast. To save space, fill interiors of appliances with linens, clothes and stuffed toys. Stuff towels between the washing machine and the inner tub of the washing machine to keep the tub from rotating. When wrapping collectibles or anything breakable, tape it after you wrap it. This will keep you from mistaking them for the excess paper you used to fill the box. Never store anything in sealed plastic bags. The humidity will cause damage to your goods. Label boxes by numbers with the box numbers facing outward. Never write on the box what its contents are. Have the master list separate from your storage space. Label each box as you seal it. Mark “Fragile” on all boxes with breakables. Use your drawers as packing space. Fill them with some of your fragile items and use blankets, sweaters, and towels for padding. Do not use printed newspaper to pack with. The ink may smudge off on your items. Try to limit the weight of your packing boxes to 30lbs or less per box.